The city of Anchorage, Kentucky is known for its small town atmosphere and natural beauty. 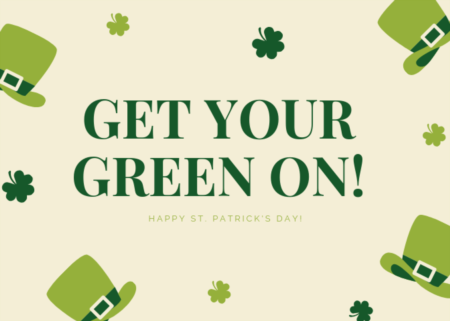 No other place in Louisville offers this combination of historic homes, mature tree coverage, local Fire and Police Departments, and beautiful walking trail in the same way that Anchorage does. 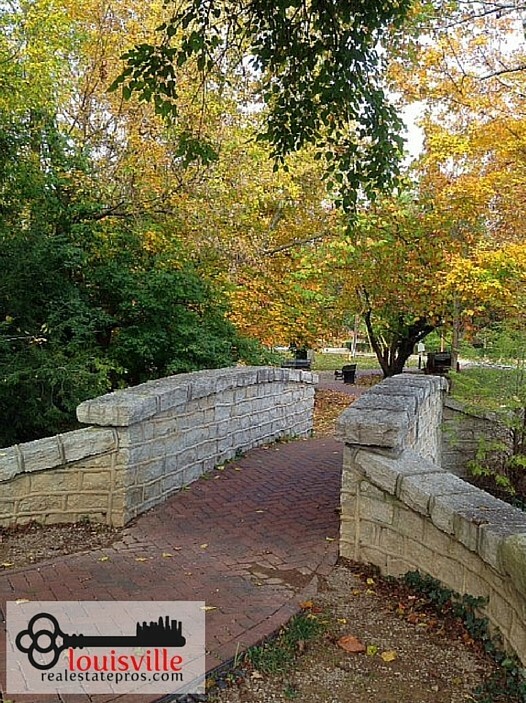 It’s truly a one-of-a-kind place in Louisville, KY’s East End. This beauty is absolutely magnified with the changing of the fall leaves. 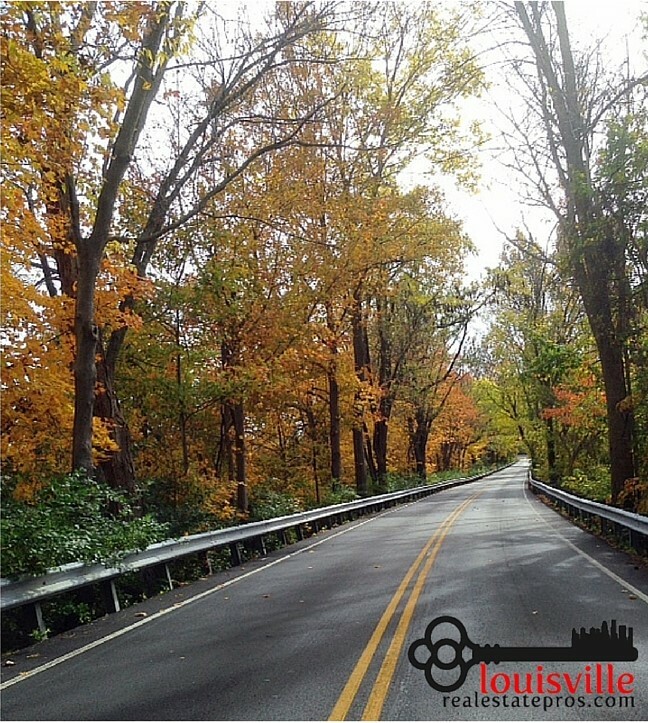 The roads winding throughout Anchorage, KY are hidden away beneath the canopy of colorful trees. It’s hard to believe that just minutes away are some of Louisville’s most popular shopping centers and busy roadways! The varying kinds of properties here give Anchorage, KY its unique charm. Some residents love the area for the wonderfully maintained subdivisions. Others are drawn by the numerous sweeping, multi-acre luxury properties. One thing is for sure; if you are searching for your Louisville dream home, the city of Anchorage will certainly catch your eye. Anchorage Trail is a must-see when it comes to the natural beauty of the area. 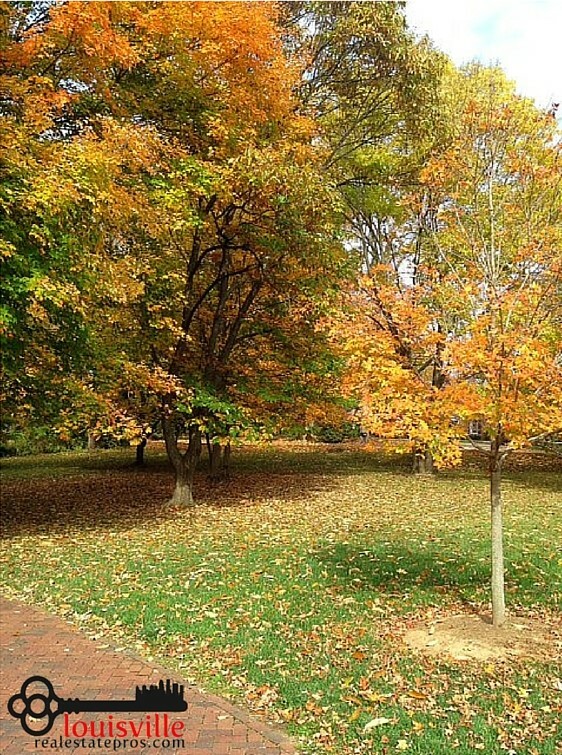 Paved walkways are surrounded by trees of all sizes, changing quickly with the cooling season. 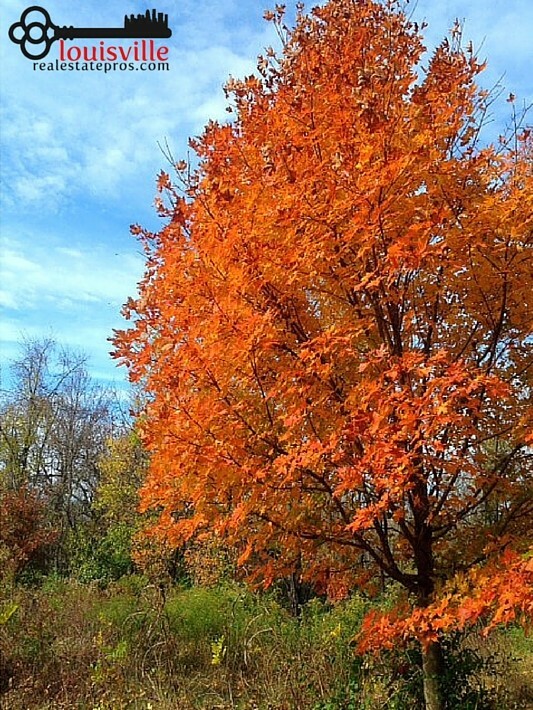 Take a leisurely walk on a clear day and the vibrant fall colors pop against the calm, blue sky. It’s easy to get lost in it all here! Fallen leaves cover the ground behind Anchorage’s own Post Office. A long, sturdy bridge crosses over the creek in the heart of Anchorage. Beautiful stone work marks the beginning of the walkway into Anchorage Trail. Just across the street, you will see an area favorite: The Village Anchor. The Anchorage Fire and EMS exudes small town charm from the downtown area of Anchorage. 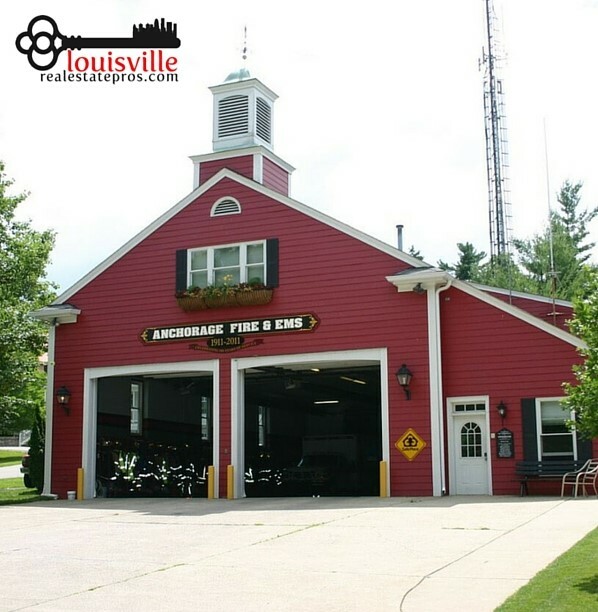 Learn more about the independent firehouse here. Gaze across the railroad tracks, and you’ll see the award winning Anchorage Public School. 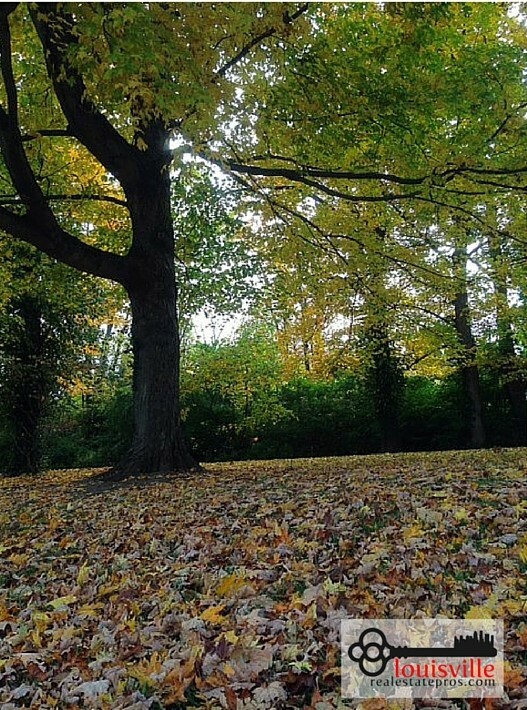 Listen closely and you may hear the sounds of children crunching through the leaves fallen on the campus grounds. 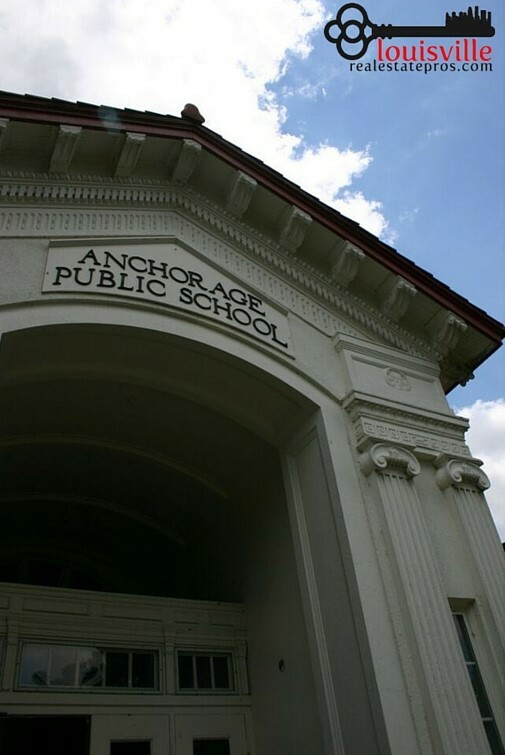 Learn more about Anchorage Independent School here. These pictures just don’t do enough for how absolutely beautiful the area of Anchorage KY truly is. You have to experience it for yourself. 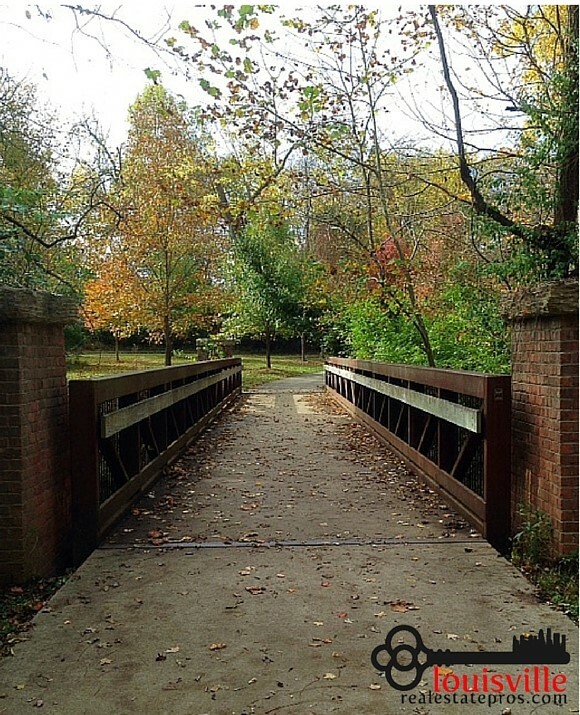 Now is the time, while the leaves are still changing, to get lost in a world just minutes from some of Louisville’s busiest areas. Anchorage is a great place to relax and get away from it all. The historic charm is calling your name! Interested in living in or around Anchorage, KY? 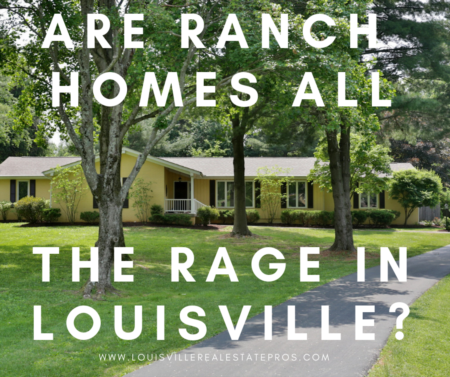 Contact Pam Ruckriegel with Louisville Real Estate Pros at Keller Williams Realty Louisville East today. She has personal experience with the area and can’t wait to share her love of Anchorage with you! 502-435-5524.